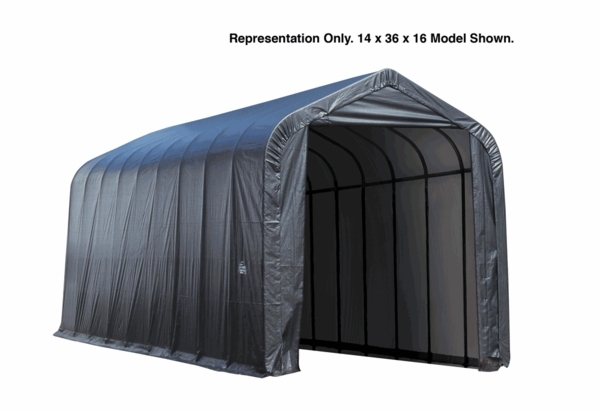 This portable peak style garage is multi-functional, sturdy, weather resistant, and easy to assemble. The product has 12 rib framework, and a door clearance of 12'6" H. The high grade steel frame features a sturdy base with secure anchor points. The one piece full valance cover remains tight thank to the patented Twist-Tite tensioning system, and is totally tear resistant. The cover is also 100% waterproof, and has been UV treated to block fading, aging and fungus. The structure is easy to set up, and comes with a 1 year warranty. I'm looking for a 50 ft model. Do you have anything that's longer than this canopy? No. In that style of canopy, that is the longest one we have available. 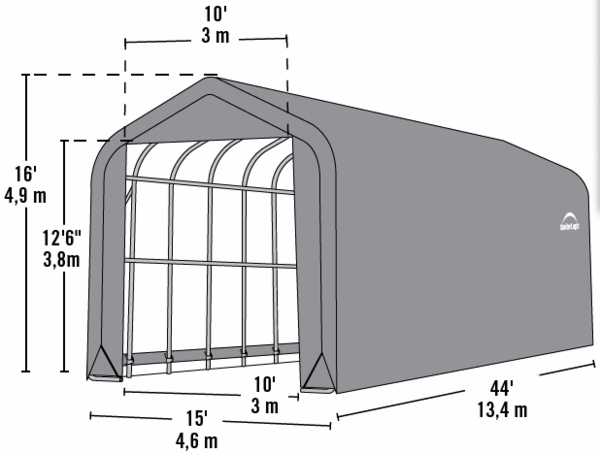 Overall the shelter is a very good product, it arrived complete and was with very good directions.